Mounted in extended position for easy study and identification of structures. Natural bone. The Rana catesbeiana specimen has been carefully prepared and arranged in an extended position, the ligamentary preparation, to correspond to most textbook diagrams in order to make identification of structures even easier. 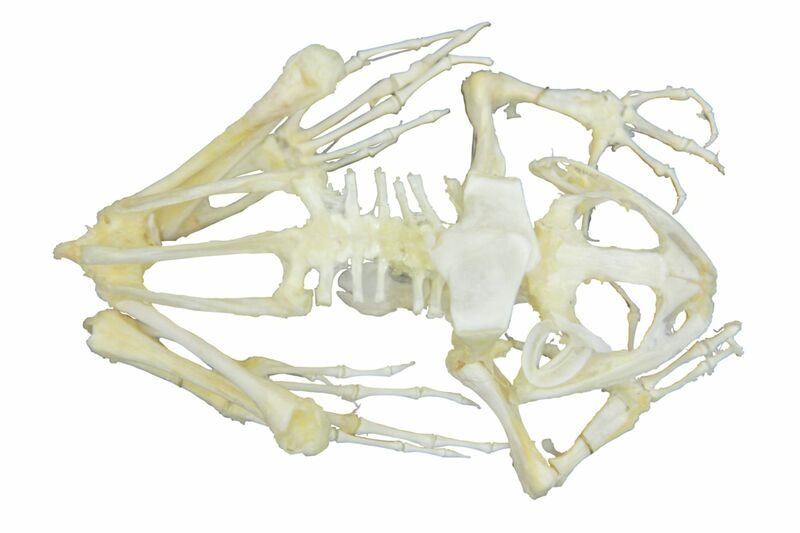 The skeleton includes the hyoid and otic bones and is mounted on a clear plate, in a lightweight, clear plastic case for full visibility from all sides. It also comes with a key identifying 40 structures. Case size: 12.25"L x 6.5"W x 2.25"H. Skeleton size: approximately 10" extended.